Patients may receive less palliative care at U.S. hospitals primarily serving minorities, a study published in JAMA Network Open found. Palliative care aims to improve quality of life for critically ill patients by relieving symptoms and pain. 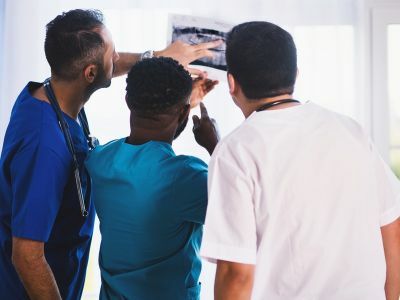 "Because about 20 percent of hospitals in the U.S. care for nearly 90 percent of minority patients, we decided to look at these 'minority-serving hospitals,'" lead study author Dr. Alexander Cole, MD, told Reuters. To do this, the researchers looked at data on more than 600,000 patients diagnosed with advanced cancers from 2004 to 2015 and treated at 1,500 U.S. hospitals. Overall, about 22 percent of patients received palliative care. Race and ethnicity initially appeared to play a role, with 23 percent of white patients receiving palliative care compared to 20 percent of black patients and 16 percent of Hispanic patients. However, when the researchers compared palliative care access at the 150 hospitals with the most nonwhite patients to what happened elsewhere, they found patients treated at the minority-serving hospitals were 33 percent less likely to receive palliative care, regardless of race or ethnicity. Although 22 percent of patients got palliative care overall, only 18 percent did at minority-serving hospitals. "In other words, the significant racial and ethnic disparities in receipt of palliative care may be largely explained by differences in where minority patients are receiving care," Dr. Cole said.